During the Ordovician Period (485.4 and 443.8 million years ago), carbon dioxide (CO2) levels in the atmosphere were about eight times higher than today. Despite that, the Earth’s climate was cooled to cause an ice age, something that scientists have had difficulty explaining. 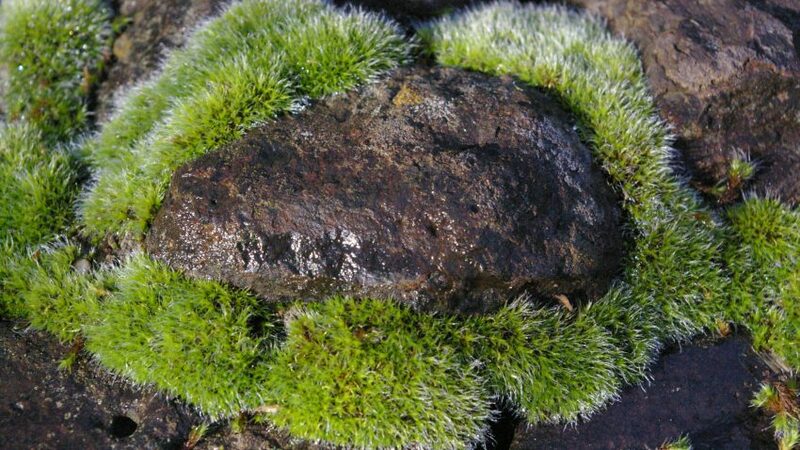 A new study by researchers at ACES and colleagues in France, Germany and the UK, published in Nature Communications, shows that weathering processes of rocks caused by plants like mosses or lichens, have the potential to cause such global cooling effects. “When we have a better understanding of past climate change events, we can make better predictions of what will happen to the climate in the future,” says Philipp Porada post-doctoral researcher at ACES and one of the authors. Non-vascular plants, such as mosses, liverworts and hornworts, probably evolved during the Ordovician about 450 million years ago. They are older than vascular plants, such as trees and grasses. They were probably the earliest vegetation on Earth, along with lichens, a symbiosis between algae and fungi. Today the successors of these organisms are found worldwide and are characterized by their ability to survive in dry and nutrient-poor environments, from cold to hot deserts, and can grow on rocks and trees. But even though they do not have any real roots, they can affect the surface they grow on. By releasing different acids, mosses and lichens can dissolve the rock they grow on. This process of disintegration and chemical alteration of rocks is known as chemical weathering. Non-vascular plants and lichens can greatly accelerate the weathering of the rock they grow on. During the weathering process CO2 reacts with water to produce carbonic acid. Carbon is transported to the oceans and ends up in the ocean floor where it forms rock, such as limestone. This has important consequences for the climate, since chemical weathering of rocks reduces the levels of CO2 in the atmosphere leading to global cooling. Scientists have previously assumed that the early non-vascular vegetation caused ice age periods at the end of the Ordovician Period, when they were scattered all over the Earth. Without a reduction of CO2 in the atmosphere caused by chemical weathering, it would be difficult to explain the onset of ice ages during the Ordovician, especially since CO2 levels were eight times higher than today when the cooling process began.